In this groundbreaking new book, the Showkeirs take something people typically think of as merely functional—ordinary conversations—and show the power they have to create, sustain, and change the very nature of workplace culture. Conversations can lead to an engaged and energized workforce, or to one that is alienated and uninspired. If you want to change the culture you must change the conversations. All too often workplace conversations—between managers and direct reports, peer-to-peer, or with external stakeholders— create parent-child relationships. People hide facts, sugarcoat reality and claim helplessness to try to control interactions and get what they want. 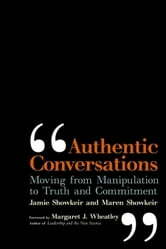 The Showkeirs expose the destructiveness of these manipulative conversations, and demonstrate how we can move to honest and authentic interactions that create adult relationships. By intentionally and thoughtfully changing conversations, organizations will engender increased commitment, true accountability, and improved workplace performance. Drawing on more than 25 years of experience as organizational consultants, their book offers examples of parent-child and adult-adult workplace conversations in a variety of settings, circumstances and industries. They also provide a hands-on guide, including sample scripts, for dealing with a host of potentially difficult conversations. 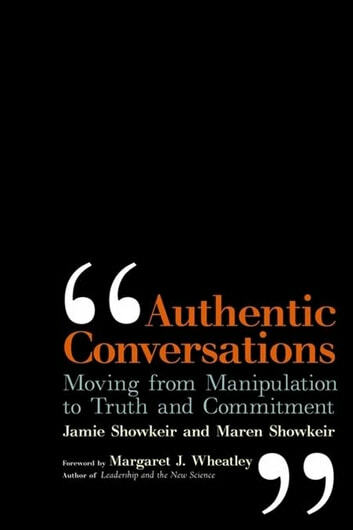 Authentic Conversations goes to the heart of why so many people today are disengaged, uninspired, and uncommitted to their organization’s success. It challenges the conventional wisdom about managing people and sets out specific, concrete ways to consciously make conversations the primary driver for change.